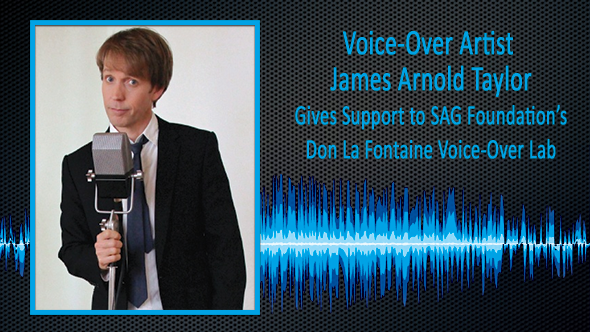 The Screen Actors Guild Foundation and the Don La Fontaine Voice-Over Lab Advisory Board are pleased to announce that voice-over artist James Arnold Taylor and his wife, Allison, have donated $5000 in support of the SAG Foundation’s Don La Fontaine Voice-Over Lab. As part of this donation, they will serve as “Straight Flush” sponsors at the SAG Foundation’s 3rd Annual Texas Hold ‘Em Poker Classic on Saturday, August 24, 2013 which benefits the DLF Voice-Over Lab. James has also offered to teach a class at the DLF Voice-Over Lab and has expressed an on-going commitment to the Lab’s mission dedicated to the development and success of professional voice-over artists. “Since I was a kid I knew voice-acting was what I wanted to do and have pursued it knowing that it is an art that will rarely be credited. The Don La Fontaine Voice-Over Lab is the place that truly holds the proper regard for the craft and not only teaches students, but inspires all of us already in the ‘biz’ to share what we have learned and achieved. 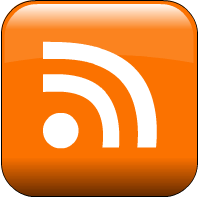 I invite others to give and support the Lab. It truly brings a voice to our craft,” said James Arnold Taylor, voice-over artist. “In addition to being a real success story, James is a most welcome addition to the Don La Fontaine Voiceover Lab’s efforts. He understands our goals and his genuine desire to ‘pay it forward’ helps give others the chance to develop their talents and have the same opportunities,” says Paul Pape, SAG Foundation Board member and Don La Fontaine Voice Over Lab Advisory Board member. As a voice-over artist, James has achieved success in virtually every area of the industry. His list of credits range from leading roles in major summer blockbuster films to starring roles in some of the hottest animation programs on television. He is a promo voice for the Fox broadcasting network and is heard regularly doing commercials for national ad campaigns on television and radio. From Obi-Wan Kenobe to Fred Flintstone, Leonardo the Ninja Turtle to Johnny Test, James has covered all shapes and sizes with his voice, which has linked him to all of the biggest franchises in film or television. James’ current one man show, “Talking to Myself”, is an 80 minute tour de force which has been performed all over the world, including for our troops abroad. A sample of this show where he uses over 150 different voices can be seen by clicking here. The SAG Foundation is grateful for the support of James and Allison Taylor and welcomes them to the growing family and community that makes up the Lab. For more information on the SAG Foundation’s 3rd Annual Texas Hold ‘Em Poker Classic benefiting the Don La Fontaine Voice-Over Lab, contact Lauren Donoghue at 323-549-6774 or ldonoghue@sagfoundation.org.